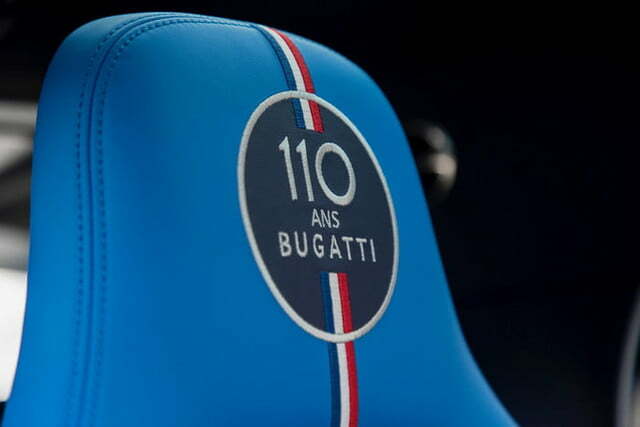 It’s remarkable for a car company to still be around more than 100 years after its founding, but the fact that Bugatti is celebrating its 110th anniversary is downright improbable. Known today for its superlative supercars, Bugatti’s history has enough drama to fill a soap opera, and the automaker is celebrating its long legacy with a special edition of its Chiron supercar. 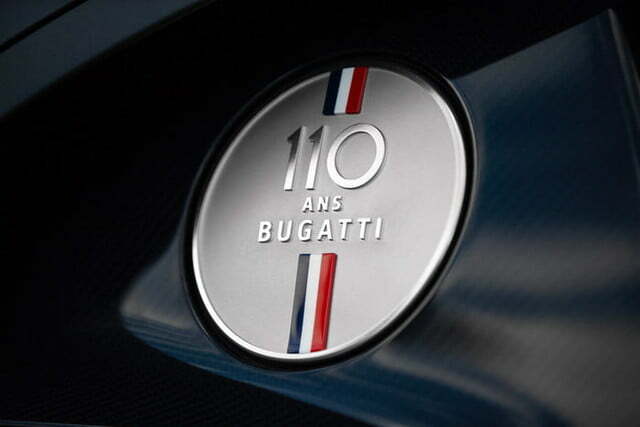 Straightforwardly named 110 ans Bugatti — French for “110 years of Bugatti” — the car drapes itself in the French flag. 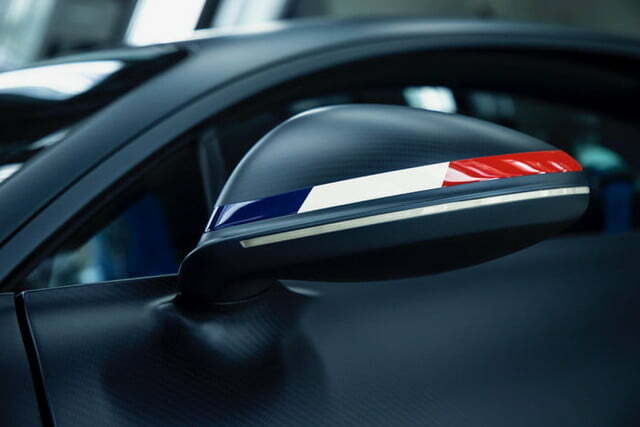 The red, white, and blue of the French tricolor are also splashed throughout the exterior and interior. 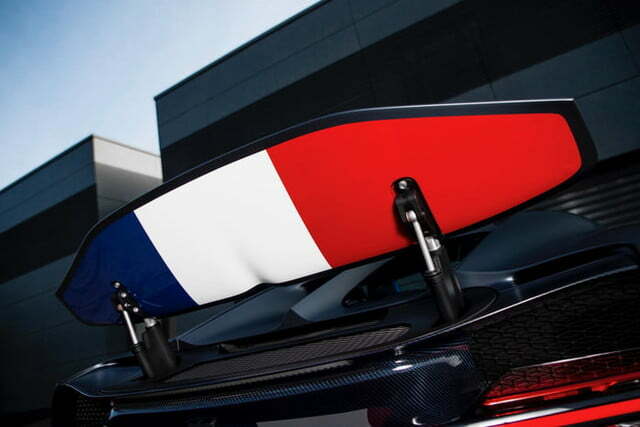 Drivers who follow the 110 ans Bugatti get a view of the French flag every time the Chiron’s rear spoiler is raised, and colors are also displayed on the mirror caps. 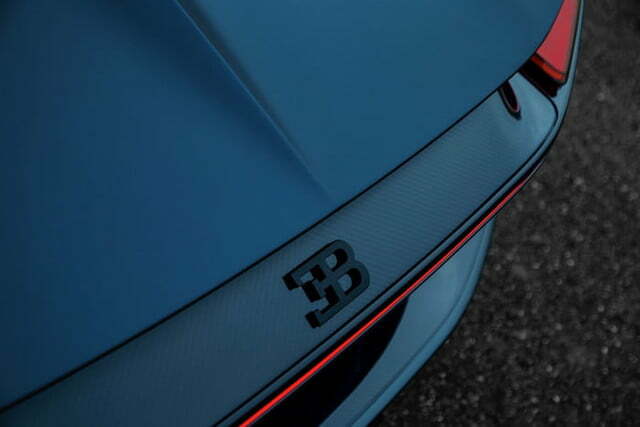 Following the procedure of official French vehicles, the colors are arranged so the blue portion is always facing forward, according to Bugatti. The main exterior color is called Steel Blue, while the brake calipers are painted in traditional French Racing Blue, a much brighter hue. 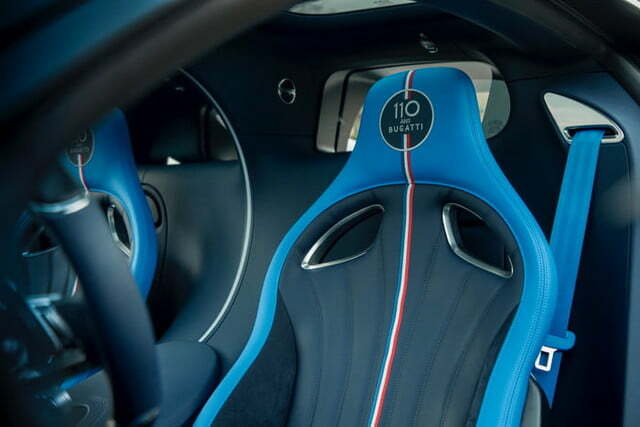 French Racing Blue also features on the seats, which get special badging and Tricolor striping. The steering wheel is covered in blue leather and matte carbon fiber. The lightweight material is also sprinkled elsewhere in the cabin. A solid-silver medallion sits on a carbon fiber plate in the center console. Bugatti did not make any mechanical changes, but the Chiron didn’t really need any. The 8.0-liter quad-turbocharged W16 engine produces 1,500 horsepower and 1,180 pound-feet of torque. The Chiron is electronically limited to 261 mph. 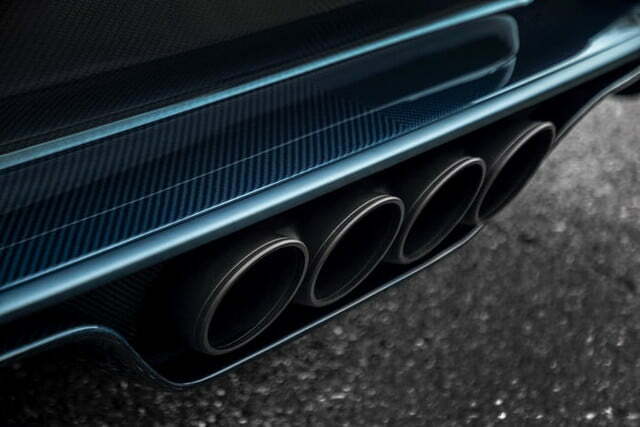 Bugatti has hinted that it may disengage the speed limiter and try to set a record for world’s fastest production car. 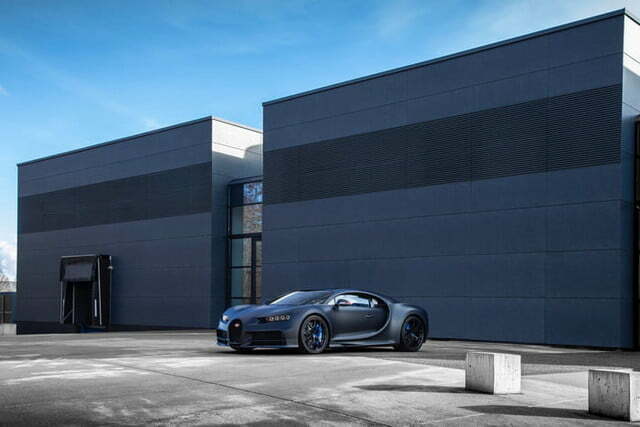 At one time, that record was held by the Chiron’s predecessor, the Veyron. Ettore Bugatti set up his namesake company in Molsheim, France, in 1909. The company built iconic cars, which are now prized collectibles, before ceasing production in 1956. 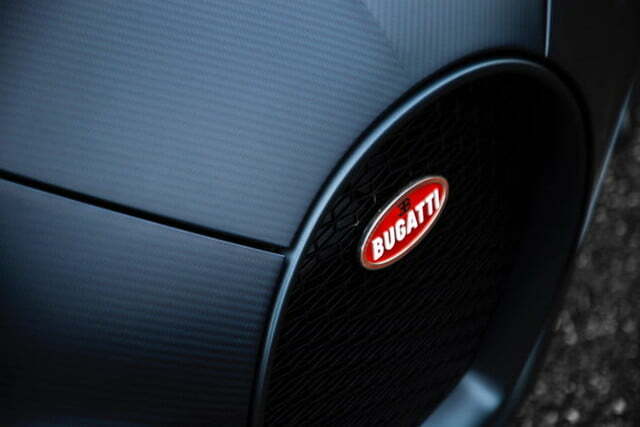 The Bugatti name was briefly revived in the early 1990s for the EB 110 supercar, before disappearing again. 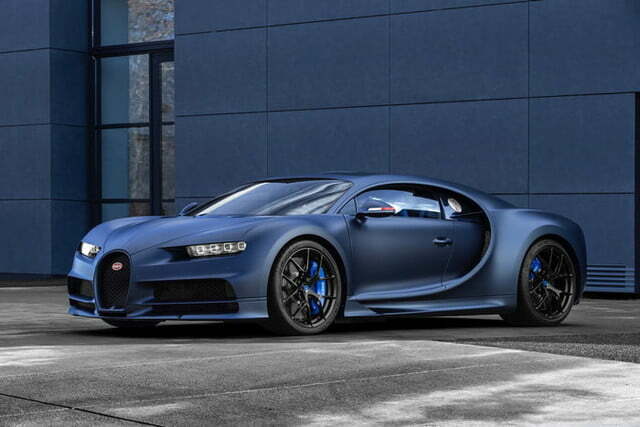 Bugatti was subsequently bought by Volkswagen, which still owns it today. Under VW’s aegis, Bugatti launched the Veyron in 2005, followed by the Chiron in 2016. At the 2018 Pebble Beach Concours d’Elegance, Bugatti unveiled a more extreme version of the Chiron called the Divo.